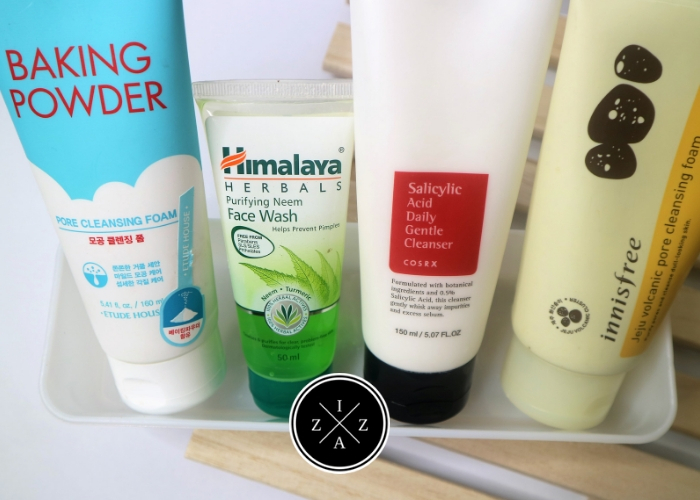 Today I'll be sharing to you the current cleansers I have in my vanity. A good skincare routine cannot function without cleansing. It is the "alpha", the beginning of everything. 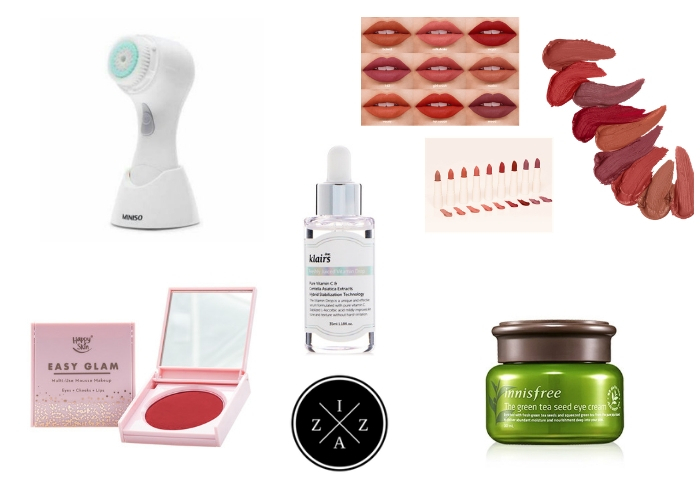 If you don't cleanse your face first, there is no point in doing the rest of steps. I started taking my skincare seriously in 2017. It was the same year I decided to wear less makeup than usual and focus instead in giving my skin some tender loving care. And I have no regrets. A good skin is definitely worth all the effort and money. But first I will give you a gist of what I learned since I started investing on cleansers. It is important to know your skin type. Cleansers have been developed for people with different skin types. It is important to select a cleanser that matches the type of skin you have whether you are oily, dry, combination, sensitive or acne-prone. Because you may be using a face cleanser with ingredients that does not suit your current skin type. For example, salicylic acid is good for oily and acne-prone skin type but too much will cause flakes for those with dry skin. It is also important to note that our skin types may change. Not because you are oily nowd does it mean you remain oily for the rest of your life. Climate, the food you eat and hormonal imbalance are factors that can change your skin type. I’ve talked about double cleansing for Pinays before and it is truly life-changing in my opinion. At first it feels daunting to use two different cleansers, an oil-based and a water-based, but in my experience it just works. Apparently, double cleansing is not just a “kaartehan”. It has a scientific basis. You need to use an oil-based cleanser first to make sure that oil-based debris such as sebum, makeup, SPF and other products with oil in it be removed. If you used water-based product, which most second cleansers are based from, they won’t be as effective. As we all know oil and water never mix. So in case you haven’t tried double cleansing yet, I recommend for you to test it out. If there’s something a beauty resolution we all need to follow this 2019 that would be to always remove makeup before going to bed. This is where the whole double cleansing comes in. As soon as the oil-based debris are removed, the second cleansers further make sure you have a squeaky-clean face. Even if you don’t wear makeup, double-cleansing is still effective because you want oils and impurities to be thoroughly removed. 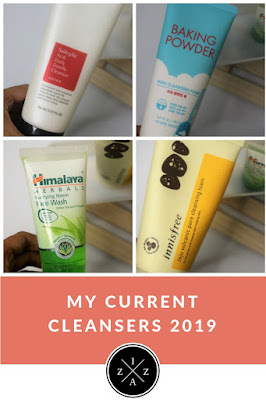 Now here are the cleansers I currently own. You will notice that most of the products I have are Korean skincare. I became part of Althea Angels, Althea Korea's Beauty Ambassadorship Program, and received credits to purchase items on the store. I have always been a fan of Korean skincare regimen so I took the liberty to purchase the tried and tested products from the site. I have a good relationship with Himalaya Herbals products. I’ve used and loved the Clear Complexion Whitening which has a face wash, face scrub and day cream. I didn’t repurchase the line since I want to try out other skincare products. Then I discovered this Purifying Neem Face Wash which is what I bring along with me when I am going on overnight stay at my sister’s condo since the size is just right. Neem is actually an important in Indian skincare routine. It is a proven ingredient that can help with clearing acne, lightening blemishes, treating dry skin and delaying signs of ageing. From all of the current cleansers I own this is the most gentle. It is also the only natural face cleanser I own so I like to reserve this just when I feel like my skin is getting bad because of too much chemicals. For a long time, I wanted to buy any of the Jeju Volcanic product from Innisfree. The packaging just looks nice and the word Jeju and Volcanic it is definitely a “take-all-my-money” kind of product for me. Innisfree Jeju Volcanic Pore Cleanser is a pore-cleansing foam containing Jeju volcanic scoria that strongly absorbs sebum and purifies clogged pores. Jeju volcanic scoria is a natural ingredient found in Jeju Island free from impurities. Something I notice when I use the product are the tiny beads which gently scrub away dead skin cells, blackheads and deeply embedded impurities. Overall, the product leaves my face refreshed and thoroughly cleaned at the end of the day. The main ingredient of this product is of course baking powder. Now, I am not familiar with the effects of baking powder on the skin and whether it is similar with baking soda. But, I have used baking soda before and it really did help minimize my pores. So yep, I am kind of confused if in Korea, baking powder and baking soda is similar. The main thing I enjoy about this Etude House Baking Powder Pore Cleansing Foam is the consistency of the product. It is reminiscent to a baking soda and water paste. It smells nice and clean, lathers smoothly and does it main job - cleaning all the junk. From my current cleansers this is the least used just because I put the Innisfree at the sink and I always forget to bring this product out from my vanity. I promise to use this more often in the coming months just to see if it does help minimize my pores or not. You don’t know how excited I am when I got my hands on this COSRX Salicylic Acid Daily Gentle Cleanser. This is my first every COSRX product and whether it worked or not I am hands down buying more products from their line just to get on the hype. Thankfully, it worked! And I’m obsessed with this cleanser too. I’ve been using this since my Althea Unboxing Haul and it is definitely the perfect day cleanser for me at the moment. I use a really tiny pea-sized amount and it is enough to cover my whole face. I really am digging this product so much but I want to give myself at least two months before making a review. During the day, I tend to go with just a foam cleanser. Foam cleansers are nice because they usually wake me up, they are fast to use and prepares my skin well for the rest of the skincare routine. For night, it depends on whether I used makeup or not. If I didn’t use any makeup I sometimes skip the oil-based and just use a water-based cleanser. If I do wear makeup whether it is just BB Cream or lip and cheek tint that’s when I do double cleansing method. Currently, for oil-based cleanser I am using the Althea Pore Purifying Serum Cleanser and it is a good makeup remover, very gentle and suitable for my needs. As for the water-based, I go for a pore cleanser either the Innisfree Jeju Volcanic Pore Cleanser or the Etude House Baking Powder Pore Cleansing Foam. In case you don’t know I do have an existing referral link on Althea. 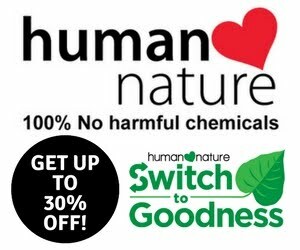 If you use my unique link you can get 20% discount on your first purchase. I think this year is really the year I become more serious with skincare and making sure I follow the day AND night routine. It is a challenge at first but seeing how my face suffered during November and December, with all the travels and skipping routine I did, made me much more inspired to make sure skincare is prioritized. What are the current cleansers you have in your collection?